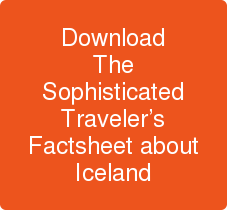 Iceland is called the ‘land of fire and ice’ and its dramatic Arctic location creates the stuff of which the most unique luxury vacations are made. Much interest is to be found in Icelandic art and culture which are always center stage on luxury tours including the fascinating city of Akureyri, with its folk museums, fishing villages, snow-capped mountains, bubbling hot springs and spurting geysers. First-class journeys offer insight into Europe's most sparsely populated country with day trips to thundering waterfalls, spurting geysers and the ice-blue Langjökull and Sólheimajökull glaciers. In the contemporary city of Reykjavík (the most northerly capital on earth) there’s fine dining, heritage museums and modern art galleries. With the long summer days of the ‘midnight sun’, there’s ample time to experience it all.